Shepherd Offshore has been a global storage provider for more than 40 years, managing and handling client equipment prior to deployment and shipment. Our local and riverside locations provide over 25 hectares of high-capacity quayside and open storage, with locations that stretch across the North Bank of the Tyne – at the Offshore Technology Park, Neptune Energy Park and supporting facilities. Our workforce has the depth of experience to be able to provide you with flexible, innovative and cost-effective solutions to your storage needs, while our in-house plant gives us the transport and craneage capability to store and manage a variety of client equipment and products. 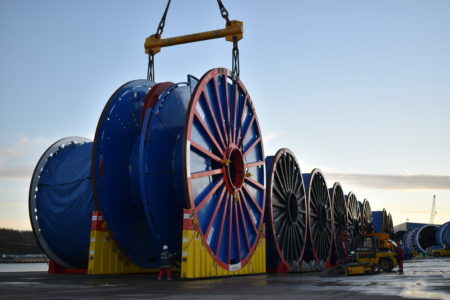 Shepherd Offshore’s capacity across the North Bank of the Tyne can handle in excess of 300 offshore reels, with a maximum capacity of 700t per reel – and this is under expansion. Heavy load routes strategically link our facilities, which provide a cost effective and efficient solution when transferring reels of up to 400te between Offshore Technology Park and Neptune Energy Park. Offshore Technology Park – 100 + reels up to 12.4m dia / capacity up to 590ton per. 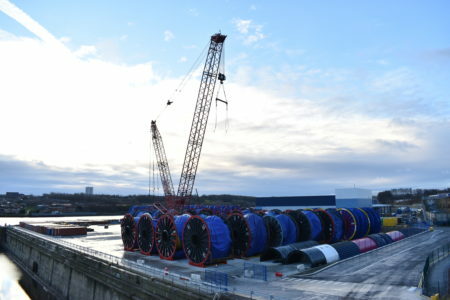 Neptune Energy Park – 200 + reels up to 12.4m dia / capacity up to 700ton per. Shepherd Offshore’s logistics division consists of a qualified team of professionals. We work closely with our clients, exploring all opportunities for increased efficiency, including improving service levels, and enabling core business focus. We operate on a 24/7 basis (subject to notice and agreement), supplying critical “Just in Time” deliveries, with the aim of providing clients with the highest of industry standards, while maintaining a flexible and user-friendly approach. Our capacity includes transport for normal and abnormal loads and the transfer of equipment by road, sea and air. We have the in-house expertise to manage your project, from conception to delivery with efficiency and professionalism. 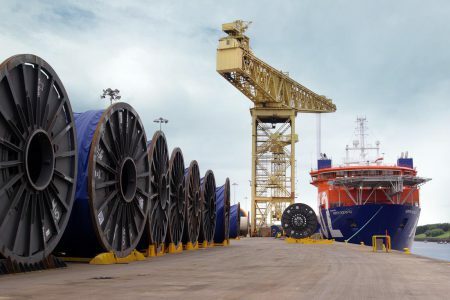 Shepherd Offshore’s transport division has been in operation for over 70 years’ and in that time has built a strong and extensive client base, which includes many of the region’s leading businesses. Our relationships are built on the guarantee that we provide the cost-effective movement of goods within a specified timeframe, and to the highest of standards. Our professional transport management teams manage the fleet, as well as our client’s needs, and pride themselves on their excellent track record and performance. Our fleet of versatile trucks, trailers, low loaders, and semi-trailers for normal and abnormal loads is supported by specifically commissioned equipment while our dedicated customer services, planning, forecasting and management teams are well rehearsed and capable of executing your transport needs. ­In addition to our quayside heavy load storage capacity we offer extensive paved and open storage rental facilities that are ideal for renewables, oil and gas, power generation, and the construction and automotive industries.